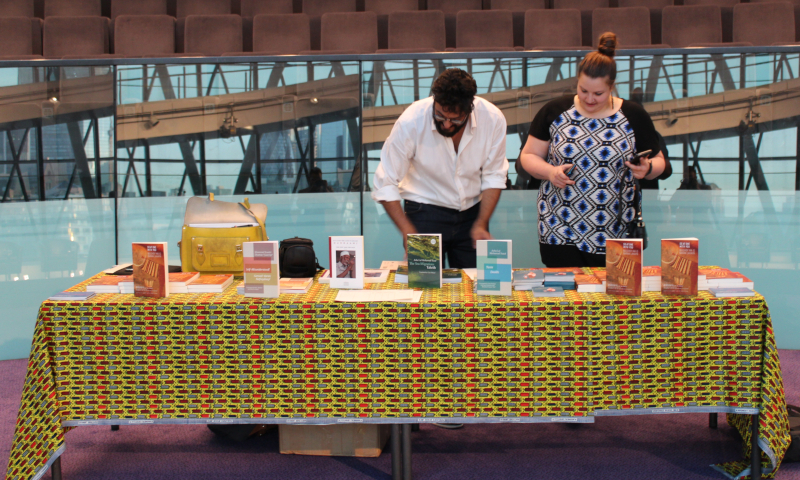 The Poetry Translation Centre is seeking an intern to join our small and busy team. The internship is six months long, one day a week, and based at the PTC’s office in the Albany arts centre, Deptford, south London. This is an ideal opportunity for someone looking for their first role in a publishing company, arts charity or communications role. We particularly welcome applications from BAME candidates. The Poetry Translation Centre’s mission is to introduce extraordinary poets from Africa, Asia and Latin America to new audiences, live and online; to better understand and celebrate the diverse communities who have made their home in the UK; and to enrich the English poetic tradition through translation. You can read more about the PTC here. ● You will also have the chance to contribute to the PTC’s strategy for developing our younger audiences (16-25), and to be involved with our translation workshop programme. ● Candidates must have a legal right to work in the UK. Please send a CV and covering letter, together with a PTC Diversity Monitoring Form (which can be downloaded from this page), to bern@poetrytranslation.org. Please put ‘Application – Internship’ in the subject heading of your email. Interviews: Week of 6 May 2019, at the Albany, Deptford. Please download our diversity monitoring form here.